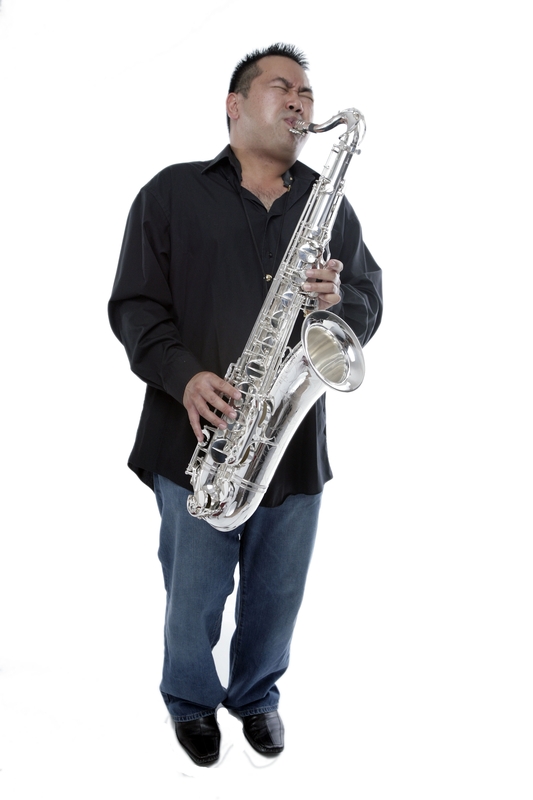 With numerous film and television credits and dozens of other recordings under his belt, award-winning saxophonist, composer, and arranger Paul Navidad maintains a busy schedule. The California native has performed with a diverse list of musicians from Al Jarreau to Tennessee Ernie Ford, has opened for comedians such as Jay Leno, Rich Little, and Jamie Foxx and has been heard on numerous soundtracks of films and television shows, including most notably NBC’s Emmy-nominated Friends. Currently in demand as a performer and writer, Paul works worldwide. He can be seen performing at a number of Southern California jazz clubs with the likes of such artists as Wilton Felder, Jeff Kashiwa, Eric Marienthal, and Rob Mullins. His skills as an improviser have earned him the praises of such jazz greats as Gerald Albright, Alan Broadbent, Buddy Collette, Dewey Erney, Kim Richmond, Bud Shank, and Bill Watrous, and have earned him the recognition of the International Association of Jazz Educators as an Outstanding Soloist. Paul joined the faculty of Orange Coast College in the Fall of 2000 and oversees Jazz & Commercial Studies as well as Music Theory. He recently released his first single as a vocalist entitled “I Won’t Let You Down,” available on both iTunes and Amazon.com and is currently working on his first solo saxophone CD.